Despite a recent UNAIDS report that sub-Saharan nations are leading the decline in new HIV infections, woman are disproportionately affected by the disease, and future progress could be hampered by a huge funding shortfall. 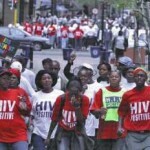 Between 2001 and 2009, 22 sub-Saharan countries saw a fall of over 25 percent in new HIV cases, largely due to the increased availability of powerful anti-retroviral drugs for infected individuals and increased condom usage among the young, according to the report released on Sept. 17. But donor nations are contributing less to stem HIV infections. Halting and reversing the spread of HIV by 2015 is one of the U.N.’s Millennium Development Goals. Over 5.2 million people are currently receiving HIV treatment, a 12-fold increase over the past six years. But an additional 10 million require treatment, according to The Guardian. The report added that condom usage doubled in the past five years, and that increased male circumcision had the potential to reduce HIV infection by about 60 percent. New medications have also greatly reduced the transmission of HIV from infected mothers to newborns. A simple but effective early infant diagnosis program in Namibia saw mother-to-baby transmissions fall from 13 percent in 2006 to about 2 percent today. David Tigawalana, an epidemiologist and coordinator of HIV Prevention, Uganda Aids Commission, wrote in the Daily Monitor that HIV disproportionately affects women. He said 60 percent of HIV infected in Africa are women, but among 15- to 24-year-olds, four women are infected for every one male. Tigawalana said that women were also more subjected to stigma and discrimination, and blamed Africa’s gender inequalities for the higher HIV rates among women. Even though HIV infection rates are decreasing, sub-Saharan Africa still accounts for 67 percent of worldwide HIV infections, 71 percent of AIDS-related deaths and 91 percent of new infections among children, reports Al Jazeera. In South Africa alone over 3 million people have died, with an estimated 350,000 expected to die each year. The average life expectancy of South Africans fell from 65 in 1994 to just under 50 based between 2005 and 2009 estimates, according to The Economist. Elsewhere, UNAIDS reports that the HIV epidemic is expanding in Eastern Europe and Central Asia, as well as in high-income countries among homosexual men. “To sustain the gains we are making, further investments in research and development are needed—not only for a small wealthy minority—but also focused to meet the needs of the majority,” Sidibé said. 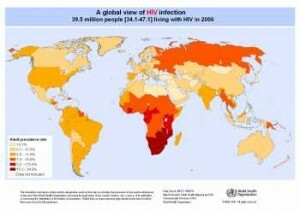 Africa wins every time a child is born without HIV from UK DFID on Vimeo.